Scholar of the eighteenth century. 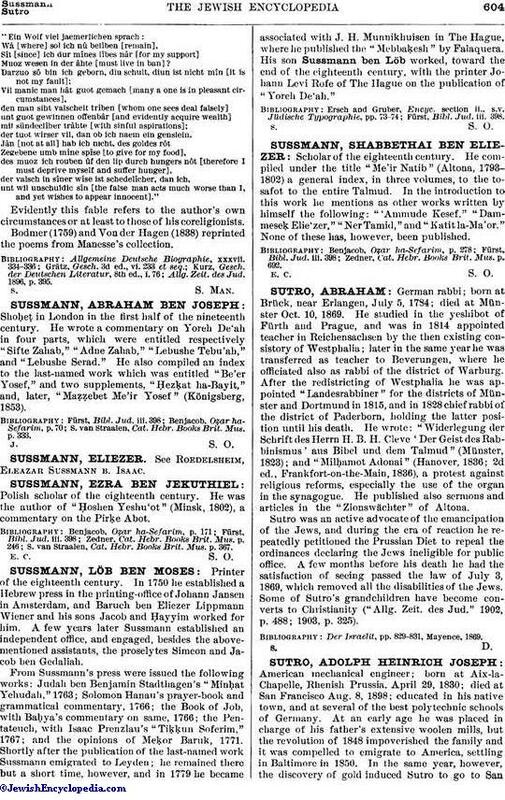 He compiled under the title "Me'ir Natib" (Altona, 1793-1802) a general index, in three volumes, to the tosafot to the entire Talmud. In the introduction to this work he mentions as other works written by himself the following: "'Ammude Kesef," "Dammeseḳ Elie'zer," "Ner Tamid," and "Katit la-Ma'or." None of these has, however, been published. Zedner, Cat. Hebr. Books Brit. Mus. p. 692.